I’m going to be out of the country and away from my computer for a few days so I’m posting this early, usually I’d post a digital photograph instead of my usual film photographs a little closer to the end of the month. So continuing the tradition of being a certain time-frame since I started this blog (a whole 3 month’s long now), below is a shot I took with my digital Nikon D5200 and Sigma 10-20 4-5.6 EX DC lens. 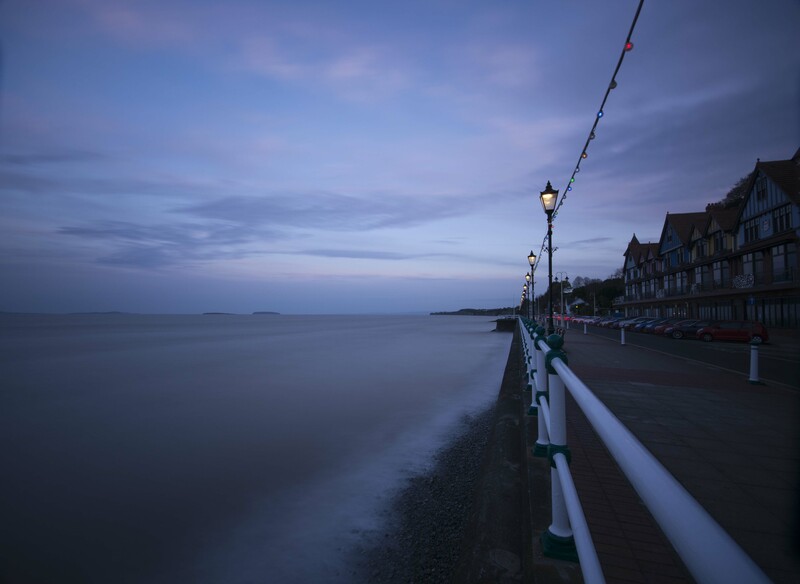 This is the seafront of Penarth at high tide one evening a few weeks ago, taken at f8 125 ISO 62 seconds using an ND1000 filter. I’ve always wanted to take a really long exposure shot of this, especially as I love how smooth it makes the sea and clouds look, and gives a very dream-like feel to the whole image, especially with the blueness of early evening just after sundown mixing with the mild pink remaining in the sky and reflecting off the water. I think the addition of the fence posts and laps repeating off into the distance is a nice addition as well.